We have experienced an increase in enquires from the representatives of foreign high net worth individuals for buildings within the Belgravia, Chelsea and Eaton Square area. Including what is reported to be the most expensive house in London! On this latter project, H+R were also tasked to undertake measured drawings of the historic windows to research re-glazing in bullet proof glass! A hazardous materials investigation has begun at the King’s Cross Basin redevelopment which is the largest industrial renaissance site in London. 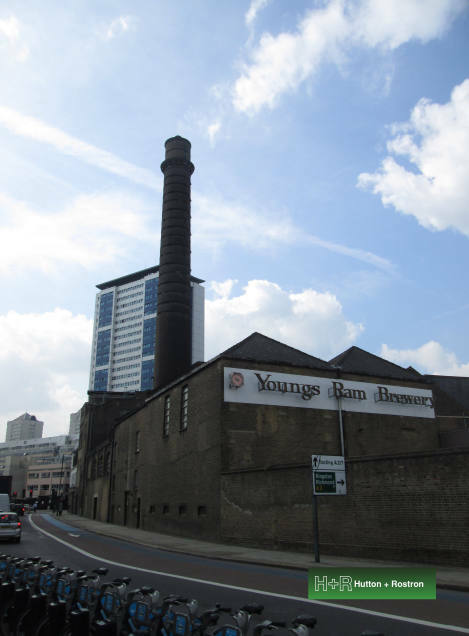 This month, we have also completed our risk management investigations at the old Young’s Ram Brewery site in Wandsworth which was the UK’s oldest brewery in continuous operation until the 1980s complete with early Victorian beam engines still in-situ. We are now looking forward to undertaking more detailed investigations of the site on behalf of the Chinese developer client. The project will be H+R’s first for a property company headquartered in China and a foretaste of the future.